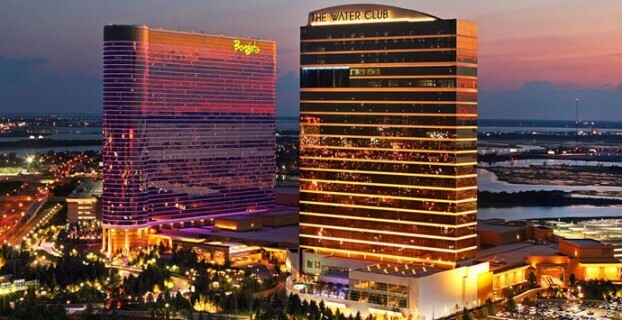 The Borgata Hotel Casino & Spa which is located in Atlantic City, NJ announced on Wednesday that they have recieved the 1st New Jersey online gambling license. The virtual felt at Borgata will take its first online bet on November 26 which is the official start date for online gambling in the Garden State. Borgata is currently partnered with bwin.party, who operates the Bwin & Party Poker brands, and will provide all of the technology behind the online gambling venture for the Borgata. As of this article bwin.party is still waiting on their vendor license to be approved but it should be noted that it is widely expected that bwin.party will receive such a license. Tom Ballance who is the President of the Borgata had the following to say about recieving the first online gambling license. It’s always nice to be first in the queue. Borgata and bwin.party are aggressively pursuing our objective of being among the first to launch online gaming in the state. We believe online gaming is an exciting growth opportunity for New Jersey’s gaming industry, one that will generate significant benefits for the state as New Jersey assumes a leadership role in this emerging form of gaming entertainment. New Jersey will start out as a closed market which will only allow players physically located in New Jersey to take part in online gambling. There has been rumors that a compact between Nevada & New Jersey will happen relatively quickly after the official start date of November 26th and if that does happen it will help the liquidity of the games as Nevada is currently having a hard time keeping players on WSOP.com & UltimatePoker.com.